The Bank of Ghana (BoG) has stepped up its supply of United States (US) dollars to meet daily demands for foreign exchange as global pressures and the exit of investors from emerging markets cause the cedi to depreciate. According to a source at the BoG, the central bank had sold $157 million to banks this month, while in August this year, it pumped in $283.4 million sale to the banks. The move is to stem the growing depreciation of the cedi, which has dropped by 6.9 per cent this year, more than the cumulative depreciation of 4.7 per cent for the whole of 2017. The cedi, which was trading at GH¢4.42 to the dollar in January this year, is now valued at GH¢4.78 to the dollar at the interbank rates but is trading at GH¢4.94 at some forex bureaux in Accra. 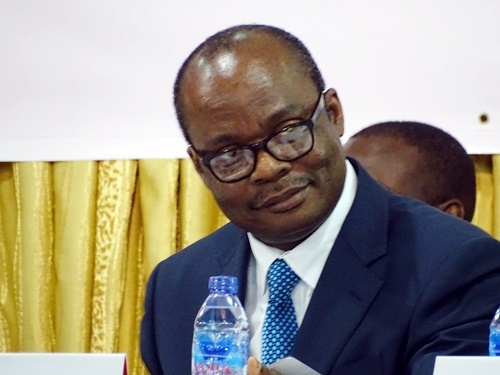 But the Deputy Governor of the BoG, Dr Maxwell Opoku Afari, said the central bank had increased its daily supplies to the markets as part of the cash flow to meet adequate demands. “We have enough stock of dollars to meet daily demands, and we have already supplied to meet investor and corporate demands,” the deputy governor said. 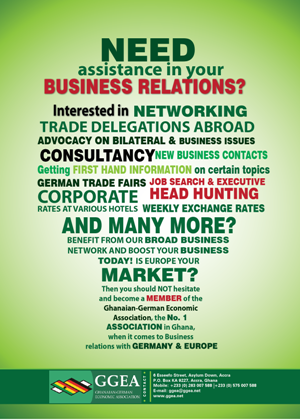 Ghana’s International Gross Reserves currently stands at $6.9 billion, which covers 3.7 months of imports. Checks by the Daily Graphic at some banks in Accra yesterday and last Friday showed that the banks were selling dollars to customers, with no indication of dollar shortage. The country’s total domestic debt stock is GH¢73.7 billion, of which only 37.9 per cent is held by non-residents. Additional inflows of $1.3 billion from cocoa syndication in October is expected to further cushion the country’s foreign reserves and help shore up the cedi. Accumulated semi-annual and annual payments on the country’s public debt, which fell due recently, have given the forex markets the jitters because of the outflows involved. While all these are indeed factors that are contributing to the cedi’s ongoing travails, the primary reason lies far beyond the country’s shores, Dr Afari said. The recent interest rate hikes by the Federal Reserve Bank of the US have signalled the end of monetary easing introduced at the turn of the decade to reverse the global economic recession of that time. Higher US interest rates have made America more attractive to international investors and consequently have strengthened the US dollar tremendously against virtually every other currency in the world. Indeed, most other emerging market currencies are currently suffering the same problems as the cedi. The Zambian kwacha, the South African rand, the Indian rupee, the Turkish lira and the Argentinean peso have all had a fair share of currency depreciation. Instructively, year-on-year up to the end of June, the cedi fell by 2.37 per cent against the US dollar, but was stable against the pound sterling and actually appreciated by 0.3 per cent against the euro. In July, the cedi fell against all three foreign currencies due to speculative trading as nervous and opportunistic forex traders deliberately took trading positions against the cedi in the expectation of further depreciation. But Dr Afari says he is hopeful that the cedi’s decline will be reversed, as the cocoa syndication of $1.3 billion and other new inflows come. A Senior Economist at Databank, Mr Courage Kingsley Martey, said the cedi’s vulnerability to external shocks had been a major setback this year given the substantial amount of foreign investor participation on the country’s domestic bonds market since 2017. “Because yields were high and were expected to decline over time, what we saw was a substantial inflow of foreign portfolio investment. “These investors sought to take advantage of the price appreciation on our local bonds market when yields started to decline. “And so when the government commenced aggressive issuance of longer-dated bonds since 2017, we witnessed a surge in foreign investor participation from GH¢14.25 billion in January 2017 to GH¢32.38 billion. That is over 127 per cent increase in foreign capital inflow within 15 months,” he added. Interest earned on the country’s bonds dropped to 15 per cent from the heights of 20 per cent and with expectations of a faster rate of increase in US interest rates, investors began to gravitate towards the US markets. Between April and July 2018, foreign investors had sold off close to GH¢4.5 billion of their position on the bond market in demand for foreign exchange. “This kind of shock is always going to exert unbearable pressure on the Ghana cedi,” Mr Martey said.